Special thanks to Sebastian Siemssen (fubhy) for collaboration on the material presented for the Acquia webinar. Preston So has designed and developed websites since 2001 and built them in Drupal since 2007. He is Development Manager of Acquia Labs at Acquia and co-founder of the Southern Colorado Drupal User Group (est. 2008). Previously, Preston was Technical Lead of Entertainment Weekly at Time Inc.
GraphQL is a declarative query language and an application-level protocol. Like SPARQL, GraphQL describes function calls rather than actual queries to a database. A GraphQL server interprets these calls and then queries the database. GraphQL is entirely agnostic to the storage layer and can be used as a proxy or relay system to forward API calls. Relay is a framework that juxtaposes data fetching needs and React components in the same place; in other words, Relay connects view logic to queries in the back end. GraphQL is a query language that enables transport- and storage-agnostic communication and returns data according to the same structure as the request query. Instead of placing data fetching logic in some other part of the client application – or embedding this logic in a custom endpoint on the server – we instead co-locate a declarative data-fetching specification alongside the React component. Client requests and server payloads adhere to a shared shape. The server houses the schema. The client dictates what it wants the server to provide. Let’s take a React application that needs to fetch some fields adhering to a certain structure, such as a list of articles, each alongside the following information. React consists of components, which are rendered through JSX templates and comprise view hierarchies. With GraphQL, this structure can be easily mirrored on the server in both query and response. ... because the server’s response really does mirror the client’s desired query. Endpoints are specific to individual views or ill-suited for trees of related resources, leading to bespoke or ad-hoc endpoints. Due to a REST API’s changing requirements, clients that only need limited data may have to deal with increasingly large payloads destined for other clients. If what is fetched for your view is complex and relational, multiple client-server round trips and corresponding bootstraps will be required, delaying render. REST APIs are versioned and by nature obsolescent as client needs evolve. Queries must be rewritten against the new API. REST APIs with custom endpoints usually lack a native schema or formalized type system, making client-side tooling and validation difficult. A shared endpoint can resolve GraphQL queries into root calls and send back a single, unified response. Client-driven queries mean that the response is catered to the demands of the client rather than the limitations of the API. A GraphQL server returns a single response to match the request structure, which is flexible enough to accommodate many possible relationships. No matter what version your most current API, your client can provide the same query to multiple versions and expect a common response. GraphQL has a native and highly extensible schema and type system. GraphQL is a common vernacular between server and client, similar enough to JSON to be easy for onboarding. GraphQL accelerates the arrival of your query’s response by preventing unneeded requests or bootstraps of the back end. GraphQL is an application-layer protocol agnostic to both its transport (the HTTP protocol is only one of many ways queries can be transmitted) and the database queried (schemas need not match). Your API is usually composed of a spectrum of different interpretations of REST. GraphQL is not strictly RESTful, but you can use it with a RESt layer if you want to. However, this is not a requirement. GraphQL evolves the server–client relationship. The server publishes its possibilities; the client specifies its requirements. Different requirements for views can be satisfied by provisioning additional REST endpoints for small subsets of data. But this arbitrarily adds more endpoints. HTTP can handle multiple parallel network requests. But HTTP/1.1 recommends only two, while Chrome accepts six. HTTP/2 may mitigate this. Content negotiation in HTTP allows clients to request multiple versions of a document at a single path. This resolves the issue of requests against API versions at differing paths. HTTP has a built-in content type system that is analogous to GraphQL’s native type system and can accompany standards such as JSON Schema. GraphQL models two types of operations. These operations can have names, which are case-sensitive. Anonymous queries have a shorthand. Using Drupal's REST, you would issue a GET request with a body as follows. And you would receive this response in JSON. But what if you only want the title? Selection sets are subsets of fields on an object. They are made up of \n-separated fields, which are discrete pieces of information. 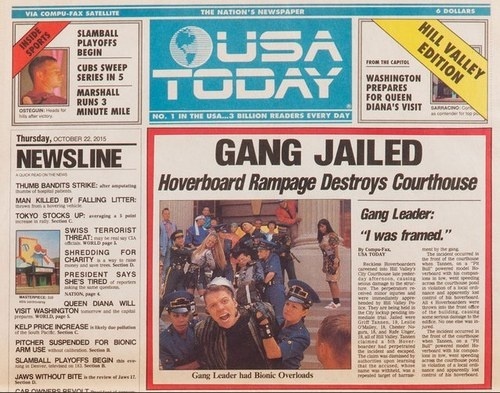 "title": "Gang Jailed: Hoverboard Rampage Destroys Courthouse"
Fields can describe relationships with other data. Top-level fields are typically globally accessible. Fields can describe relationships with other data. Fields return values and can carry arguments. More than one argument is possible in an arbitrary order. Aliases are also useful for disambiguation. Aliases are also useful for disambiguating identically named fields. Fragments allow for reusable fields. Fields in fragments are added at the same level of invocation as adjacent fields. Fragments declare types, which facilitate conditionally applied fields. Fragments can also be arbitrarily nested. Inline fragments can improve code legibility and be anonymous. Variables and directives are particularly important for caching and obfuscating the actual query. A client-side application can use a build task to extract GraphQL queries containing variable placeholders from a configuration file tied to server-generated endpoints. If you send only variables over the wire to the server rather than the entire query, only one GET is required. Variables are defined at the top of and scoped to operations. Directives alter execution behavior and can be used to conditionally include (@include) or exclude (@skip) fields. Directives alter execution behavior and can be used to conditionally include or exclude fields. The GraphQL spec recommends supporting @skip and @include. In both queries and mutations, all fields apart from top-level mutation fields resolve idempotently. // Server performs favoriteArticle write. Mutations will not be available in the initial release of the GraphQL module. This example mutation supplies a new title to a particular node before fetching the new title. "title": "Youth Jailed: Marty McFly Junior Arrested for Theft"
Here is an example of what an update of a node might look like in lieu of issuing a POST request. In GraphQL, schemas define the capabilities of your GraphQL server — which types and directives it supports — and validate your queries. A GraphQL server should generally support these scalar types at minimum. Types are objects that are validated against and represent the full breadth of selectable fields. Types can refer to other types you have created or recursively to itself. If a type object is nested within another, some field within the nested object must be selected. Therefore this query is valid. But this one is invalid. Field arguments are defined by expressing all possible arguments and expected input types. 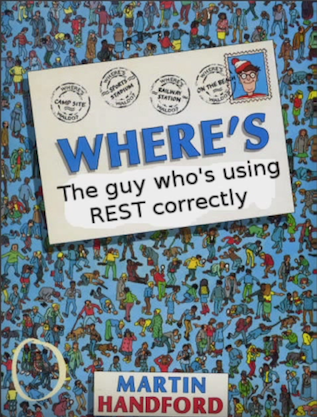 Once this type object is defined, these queries are valid. Interfaces are implemented by GraphQL objects in case a field is present on sibling types. EntityNode is an interface of the underlying Node object: If you have only one bundle, then the interface name becomes EntityNodeNode. Types invoked within type objects can refer to interfaces. This allows for the fragment examples we saw earlier. Unions in GraphQL are objects that could be one of multiple types, such as a search result. This allows for us to set type-based conditions in our queries, since Result can be either type. # The following field is only valid if all Result types have title. GraphQL allows for exhaustive introspection of the schema. For example, take EntityNodeArticle. We can build a query selecting the built-in field __type. This returns a hierarchy of the type object. You can also use the __schema field to access default types. Sebastian Siemssen (fubhy) was featured in the Barcelona Driesnote and is completing a GraphQL implementation on Drupal using the TypedData API. GraphiQL is a GUI for testing and debugging queries. The spec is in heavy flux (no pun intended). Features are still being added. Facebook plans to build more tools that natively support GraphQL. What is the future of Web Services in Drupal in light of GraphQL? Should we prioritize implementation of a GraphQL server in core? What is the future of decoupled architectures in the front end with GraphQL? What is the future of RESTful architectures and the server-client relationship in light of GraphQL?